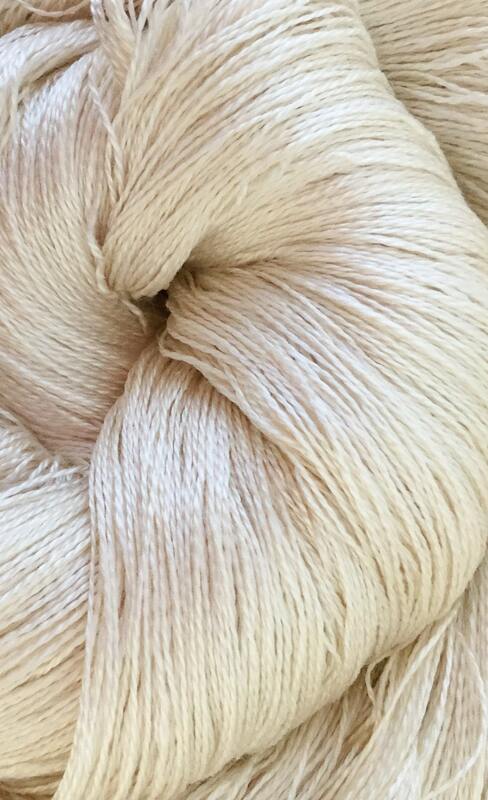 Gorgeous Cobweb Silk Yarn for lace knitting, crochet and weaving projects. 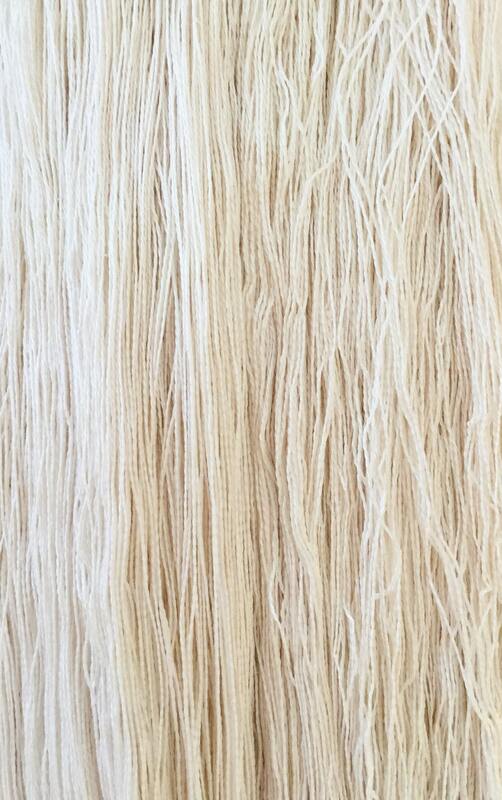 This hank is undyed - it's natural colour is Ivory. 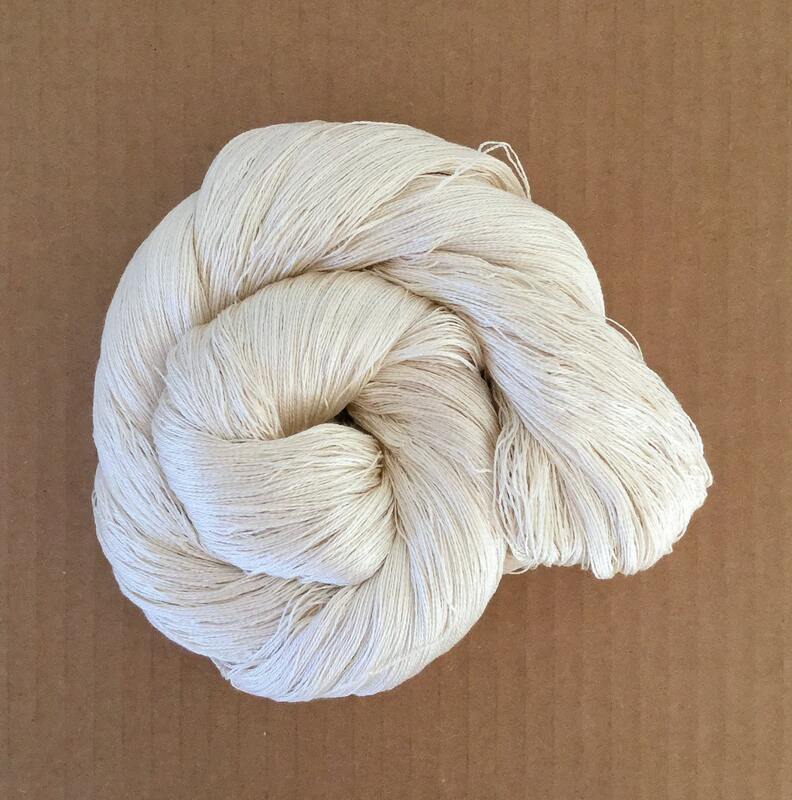 It has a beautiful lustre and feels luxuriously soft on the skin. I hank will knit a scarf or a lacy shawl. 2 hanks will knit a lacy cardigan. 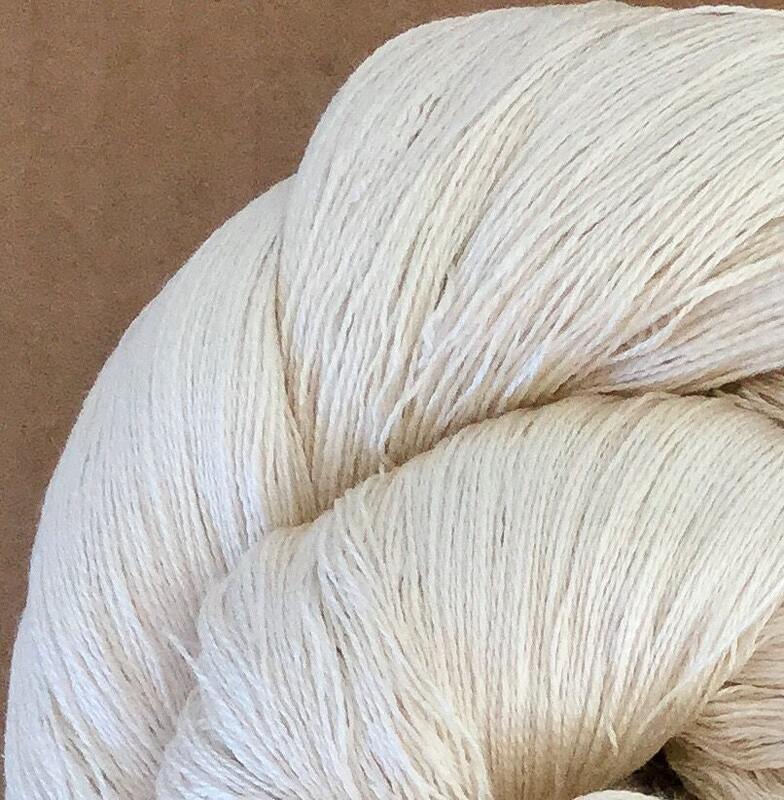 if you would like us to wind this yarn onto a cone for you please select the 'On Cone' option from the drop down menu (there is a £5.00 charge for this service).